These are days of upheaval and transition. Yes, yes, the country is suffering from a buffoon in the White House. But I’m literally speaking about matters much closer to home– namely my own. We’re moving to our “forever home” in about two weeks, and the conditions in our current one are a mite lax. Specifically I’m referring to food preparation and consumption. Or really the lack thereof. The kitchen is open but barely. Want a bowl of cereal? No problem, help yourself. Better check how much milk there is first, though. Grocery store visits aren’t exactly a high priority at the moment. Have a hankering for some pasta? Great, there’s one small pot that hasn’t yet been packed. Plus a box of rotini in the cupboard. Knock yourself out. What’s that? You say you were hoping for poached salmon with a caramelized sauce and a side of wild rice? Yeah, that does sounds good. It also ain’t happening here at least. Dust off your credit card and throw on a clean shirt. Let’s head over to the bistro down the street – your treat. Times are tough when the moving boxes are being packed. And one of the first casualties of that is healthy eating. 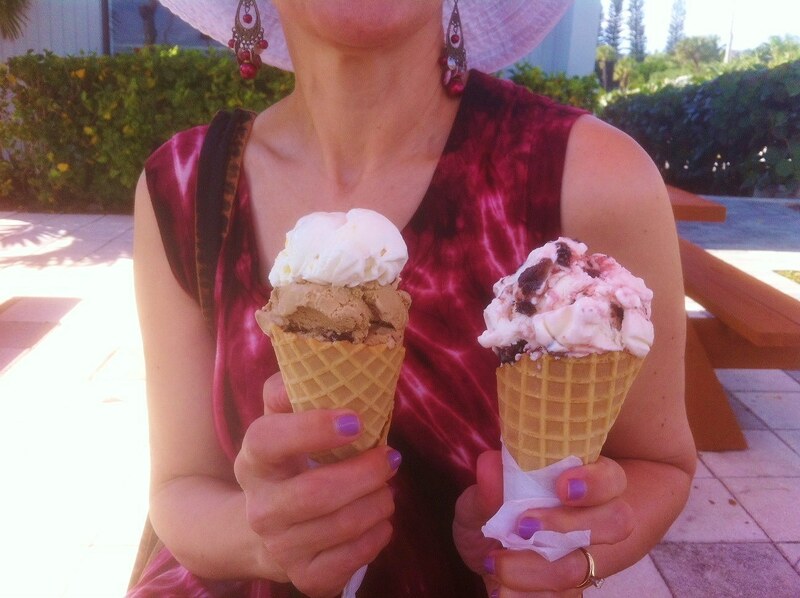 I’m not admitting to anything or even pointing fingers, but one of us had only an ice cream cone for dinner recently. A recycled pic from an old post, but the guilty party is in plain sight here. I pride myself on generally being a pretty healthy eater. Whole grains and vegetables are a mainstay of my diet, as is a consistent desire for fresh fish and poultry. I try to avoid at least an excessive intake of red meat, high fats, and carbohydrates. I don’t always completely succeed with all of that, but I make a constant effort. Because my blood pressure is controlled by a 10 mg blood pressure med, I do my best to also stay away from salty snacks. That’s a tough one because I absolutely love popcorn at night when I watch TV. We tend to pop our own and refrain from buying the processed microwave kind which is loaded with sodium. Where I truly am terrible, however, is with fruit. I’m just not crazy for any of it. Apples are boring, bananas annoying, citrus is messy, and passion fruit is much too flirty for my puritanical bearing. Cherries are fine but only at the bottom of a Manhattan. Let’s hope the daily multi-vitamin is doing something for what fruit is supposed to provide. To paraphrase the previous commander in chief, I can do better. Where I’m going with all of this is, is that in spite of my lofty ideals about healthy eating, I have been taking some serious detours lately. For the past six weeks I’ve inhabited a wondrous world of fast food gluttony. My exit lanes off the nutrition highway (specifically Interstate 95) take me back to places I once haunted with regular abandon. Except for perhaps the short period after I got my driver’s license, I don’t think I actually ever craved eating a Big Mac or Chalupa. Starting in my college years, and certainly all through my twenties, my fast food consumption was borne out of lethargy and a purposeful and intellectually dishonest belief that economic constraints forced me to avoid eating healthy. Because, you know, salad bars or containers of pre-cut veggies were just SO hard to find. But lately I’ve morphed into something I am decidedly not proud of. For a few weeks starting in late April and into mid-May, I began traveling up to Jacksonville to cover some law firm accounts for my boss while she was away on vacation. It was a bit of a schlep, driving three hours each way and taking around five hours to complete the actual work. Although I could have taken pains to bring snacks and food from home, I didn’t. Instead, I made my first forays into fast food establishment after many years of abstaining. Like the preadolescent boy sneaking a peek at an open Hustler Magazine on a counter at the 7-11, I walked into each restaurant scanning the eyes of customers and counter help alike, convinced that at least one of them would recognize I didn’t belong there. Indeed I had done exactly that. 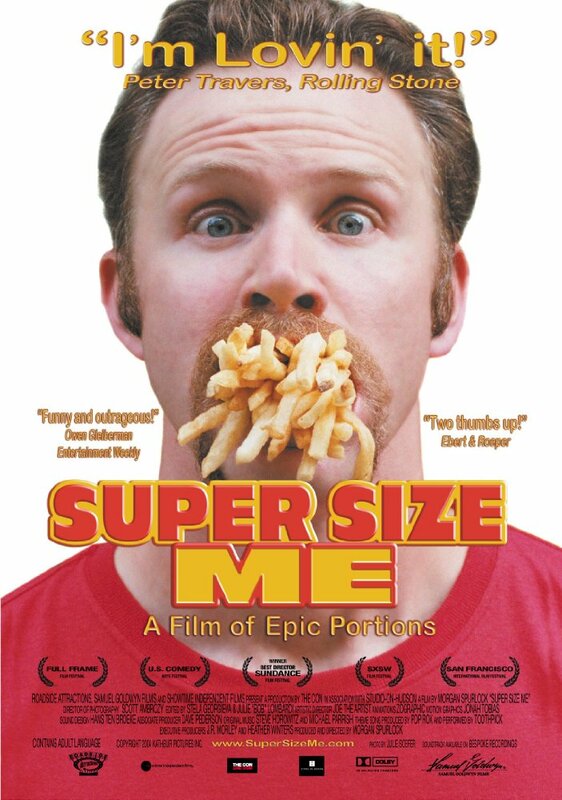 In 2004 I saw Morgan Spurlock’s documentary, “Super Size Me.” The film follows Mr. Spurlock’s 30 day experiment of eating only McDonald’s food at every meal, three times a day. The toll on his health is profound and evident. Viewers are given definite proof of precisely how his high-caloric and trans fat-laden diet are a health danger, courtesy of filmed visits to his doctor. The lab results show conclusively that the fast food meals he was eating were harmful to his health. This was anecdotal evidence that I hadn’t ever really seen before. Although by this period my fast food intake was limited, I did have a habit of dropping into one if I was running late and found myself hungry. What’s a Taco Supreme going to do to me? Please, we’re just talking “fuel” here, right? But after watching the documentary, I understood that pretty much all fast food is something we need to avoid. I took a personal pledge and decided to keep it. There are clearly other alternatives. Road trips can admittedly be challenging, especially if you have a tight time frame to reach your destination. But in addition to packing a small cooler of home-prepared snacks, I also followed good ‘ol Jared’s advice and chose healthier options at Subway or Quiznos. A lot of good that ultimately got him in the end though, eh?? I stayed in that mode pretty much until just the last couple of months. It wasn’t hard, and Gorgeous is even more determined than me about eating in a healthful way. We pretty much eat very healthy meals at home. But on only my second six-hour trek to Jacksonville, I caved and took an I-95 exit straight to a Wendy’s. I ordered a Single with fries. Fries! The one menu item in “Super Size Me” that never went bad in the lab they created to age the food items. This was my first fast food meal in 13 years. I can’t lie to you. That hamburger was delicious. It was juicy, greasy, and tasted out of this world. It was a combination of my first kiss and the day my 401(k) reached $100,000. What? You were hoping for Shelley or Yeats? What followed is ugly. McDonald’s egg and biscuit sandwiches on the way to my morning shift at the library (I asked them to leave off the cheese. Points for that? ), a Taco Bell black bean burrito on another Jacksonville trip, and dare I admit the piece de resistance — a classic Whopper while ostensibly out on an errand to pick up a prescription at the pharmacy. Which, of course, introduces the concept of closet eating. Yesterday was National Doughnut Day. Guess what national chain I patronized? Yep. Yet another picture from an old post. Guilty as charged. And while all of this is going on, I continue to go to the gym most mornings while also managing to somehow eat healthy dinners in the evenings — pretty much all by take-out from that bistro down the street. To add insult to injury, I’m even losing weight much to the chagrin of Gorgeous (alert readers will recall that we’ve been through this scenario before). As blogger Juan over at Tooneetales is fond of saying, this too will pass. We move in less than two weeks, and healthier habits are sure to return as soon as normal routines come back into play. Plus, most of us know that the first bite of a forbidden fruit tastes good only the first time. After that it’s just a guilt trip gone really bad. In the interim, perhaps I’ll run into you at McDonald’s. Super size me. We don’t eat fast food much either. Sometimes on a long road trip nothing else will do (so we tell ourselves). I think in moderation – once a month or less – it won’t do too much harm, but it can be a bad habit to break. There are so much better things to eat and even some grocery stores offer easy, healthy take-out. That you are losing weight while indulging is so unfair. A cautionary tale of domestic upheaval. No Medium Fries on the way home for me this week! Sorry, Bruce. Blame those urge suppressions on me! I saw that “Super size me” thing, I think. Did he throw up after he ate the first one? 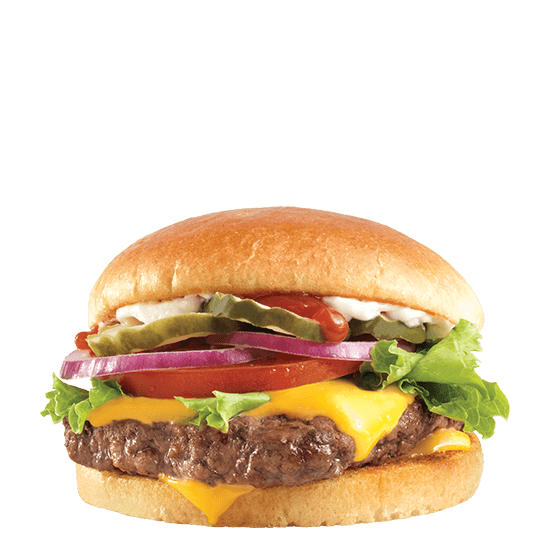 I have never had a fast food hamburger…I hate french fries and I haven’t had a piece of chicken since….I think maybe 18 years ago. lol Laurel. I can always count on you! Writing this has sort of made me want to see that documentary again. I don’t recall or not if he got sick after eating his first one. Good for you for never partaking in fast food! Yes he barfed I saw it! and still…he got used to it and began craving the food. It’s so funny… I totally don’t recall his getting sick! Just saw a Subway sandwich layered with Fritos…hmmm. Doesn’t seem healthy. Good luck with your move! Oy vey. I don’t think even on my lowest day I could eat that one. What were they thinking when they thought that one up???!!! Well Marty what can I say … except you seem to have lost your earrings in the second photo … 😄 However, I am with Gorgeous on your losing weight on this binge-fest … where’s the justice in that! Eh, Linda, I never accessorize well. But I try! Thanks for reading! I could barely type…I was laughing so hard (with you of course)! I had to stop and take a breather!! But I would like to say that, according to my analysis, those ice cream cones in the second photo contain four of the five hailed food groups. I see dairy there; creatively I also see grains, nuts, and fruit. I believe Gorgeous was just trying to help up your fruit intake. As I said, this is my food analysis, and I’m sticking with it. Great post! Ah… so helpful on that one, Donna! I am already feeling less guilty. Thanks! People just love you but they are enablers. Stop the denial…there is enough of that in the USA already. Nothing tastes better than being slim, fit and healthy. (Partly stolen form an older model…but still…I live by that). I love KFC long trips are hard as I get so bored driving . I always cave in to snacks . KFC! I never mentioned them! You’re sending me right back out now, Vy! I seldom eat fast food any more, but back in the day probably consumed enough for two lifetimes. But having moved cross country nine times, I know how easy fast food makes life during the transition, especially when every pot is packed.. Plus, when one moves from the familiar foods of Texas panhandle to the strange cuisine of North Dakota, that little McDonald’s cheeseburger or Taco Bell crunch wrap is kind of comforting. Texas to North Dakota does sound like it was a huge sea change for you guys. Wow. I have a feeling as the days count down to the kitchen being completely closed, our “comfort” food intake will only increase! The only good things about moving is the freedom to eat junk food. If it wasn’t for that, I’d never move! We eat healthy most of the time too although once or twice a year I need fried chicken. I tell my husband the my dipstick shows a low oil level. Gotta have! Looking forward to hearing about your move. Stuff always happens. Hope your move is easy peasy. Yes, fried chicken (and perhaps Egg Foo Yung) is one of my definite “off-diet” go-to. I’ll be very curious when I have labs next how the ‘ol cholesterol looks. Thanks, Kate! I will go along perfectly fine and then I swear KFC or McDonalds or Burger King get into my head like an ear wig. And nothing helps until I just give in. Then I’m fine for a while. I don’t have your excuse right now, so I hope you do get back to healthy normal when you settle. I wish your writing had not been so appealing. It’s one in the morning and I want a cheeseburger, fries and shake! I think writing this post was therapeutic for me, Clare. I’m already sick of bad food! I’ll try to catch up with you on that. I’m still craving French Fries. ‘Super Size Me’ got me off of Coke, but I still visit McD’s every once in a while. Anything is okay in moderation. And of course it was delicious! What were you expecting it to taste like? Cough syrup? Probably. I suspect I would taste like chemicals or something — sort of like how mass-produced cookies taste like vs. ones in a bakery. But, yeah, the grease was amazing. This was a fun read! And, I am glad someone else observed National Doughnut Day! I have not had fast food or soft drinks in almost 20 years now, but I guess for every vice we manage to eliminate another one pops up….it’s wine for me! Perhaps it’s not dietary at all and when I get out of the rat race, I’ll be able to limit the wine to weekends. Great post! 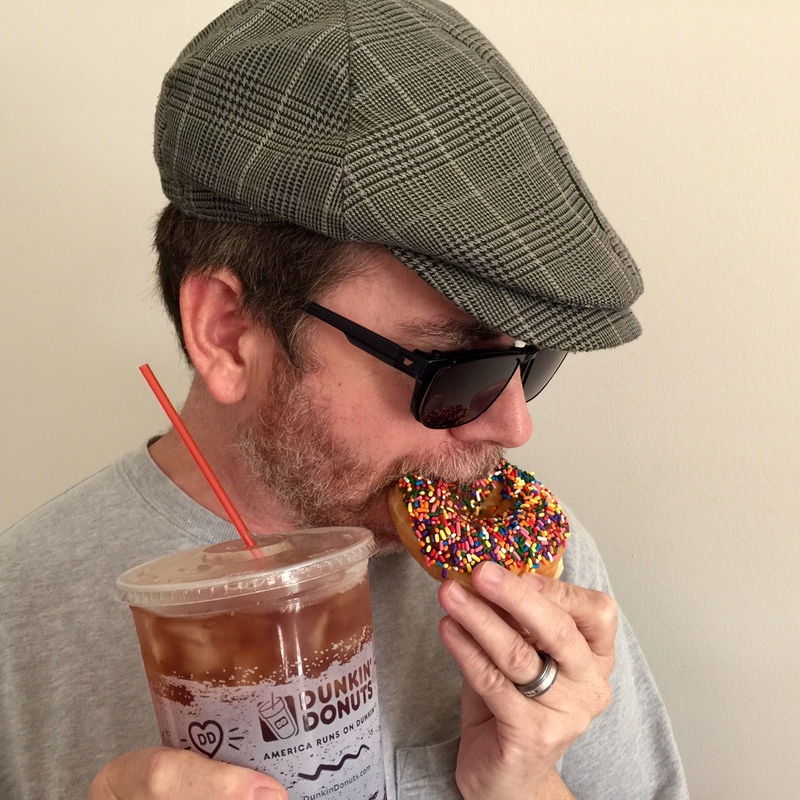 I probably went overboard on national doughnut day myself last week! Besides that, we try to eat pretty healthily in our household, like you avoiding the red meats and carbs. Amazing to me that people think that eating healthy has to be very expensive when really it can be quite affordable! Just something that has to be taught I guess. I tell myself that I hate fast food. But I’m not a morning person and one day a week I volunteer at a homeless shelter from 9 to noon. I refuse to admit how many times I get up, throw my clothes on and grab a breakfast biscuit and a soda, lol (and yes, I keep choosing that time because Im personally involved in helping some of the people there at only that time). Ah, of course. Crack! How could I not have known???????? Thanks, Joanne!